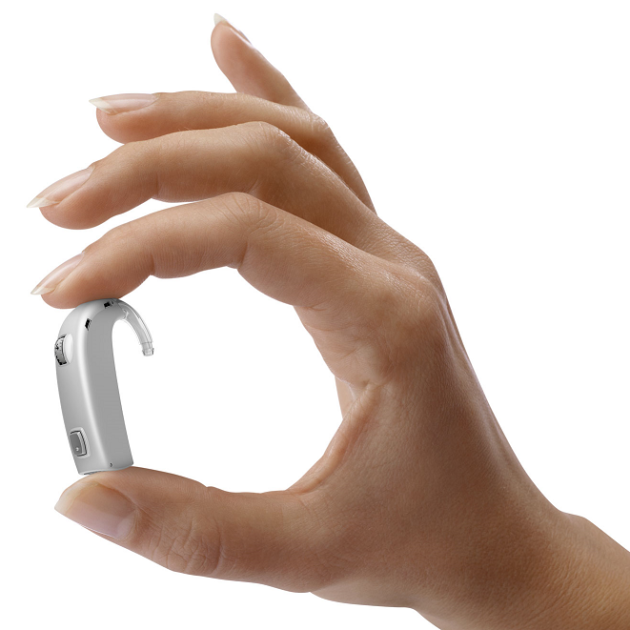 Oticon Dynamo is a superpower hearing aid, designed specifically for severe to profound hearing losses. Oticon Dynamo uses BrainHearing™ technology to help make sense of sound. Although the ears receive sound, it is our brains that process it to give it meaning, whether it is speech or noises in the world around you. When you have a hearing loss, there are gaps in the sounds that your ears pick up, which the brain then tries to fill in. This makes it difficult to follow what is happening around you, as well as being hard work for your brain. With severe and profound hearing losses this can be even more pronounced. Oticon BrainHearing concentrates on minimising this tiring activity for your brain, instead giving it the clearest possible signals to provide you with a more natural listening experience and better speech understanding with less effort. For full speech understanding, it is crucial to capture speech details, intensity and variations in voices. 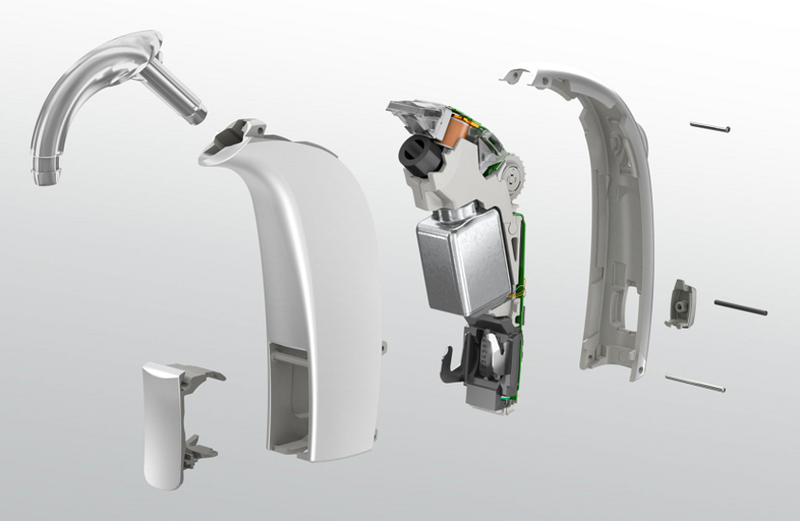 Oticon Dynamo hearing aids are not just powerful, but can capture more speech details than ever before. Oticon use an innovative technology called Speech Rescue™ to lower the frequency of high frequency sounds, including soft consonants such as ‘th’ and ‘s’. At the same time, Speech Guard E™ amplifies those high frequency sounds and protects the details to make them clearer. The result of this is that you have better speech understanding throughout the day, even in noisy environments, so you can identify and follow the voices and sounds that you want to listen to. Just like Leightons, Oticon understand that no two people have the same requirements for how and what they hear, because our brains all work differently when interpreting sounds. Dynamo hearing aids include YouMatic, a premium personalisation tool that makes your listening experience unique to you. Together with your hearing care professional, you can tailor sounds to your personal preference to fit with your individual needs. Not only does this create a more natural listening experience, but it makes it easier for you to adapt to the amazing listening experience provided by Dynamo aids. 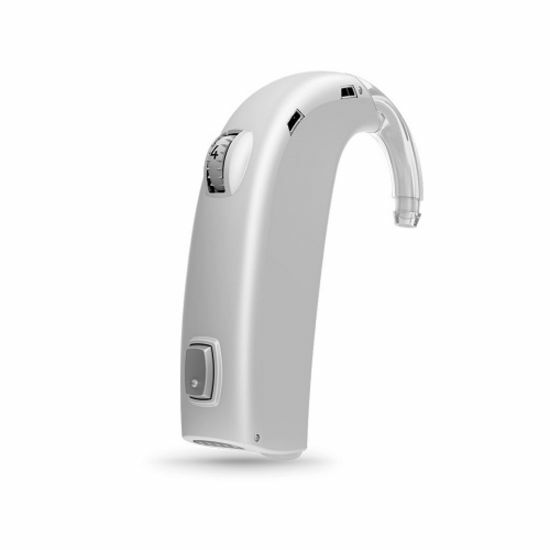 Oticon Dynamo digital hearing aids work with Oticon ConnectLine. ConnectLine is a group of devices that are designed to improve your listening experiences while you’re at home as well as out and about. The StreamerPro device turns your Dynamo hearing aids into a wireless headset, streaming sound from your TV, music player or even smartphone straight to your aids, providing fantastic sound quality. Oticon also offer a ConnectLine app for Apple and Android™ devices, so you can control your hearing aids and connected devices discreetly from your smartphone or tablet. Oticon Dynamo is ergonomic and easy to use. The program button and volume control are both accessible and user-friendly, making it quick and simple to adjust your aids to the setting you want. 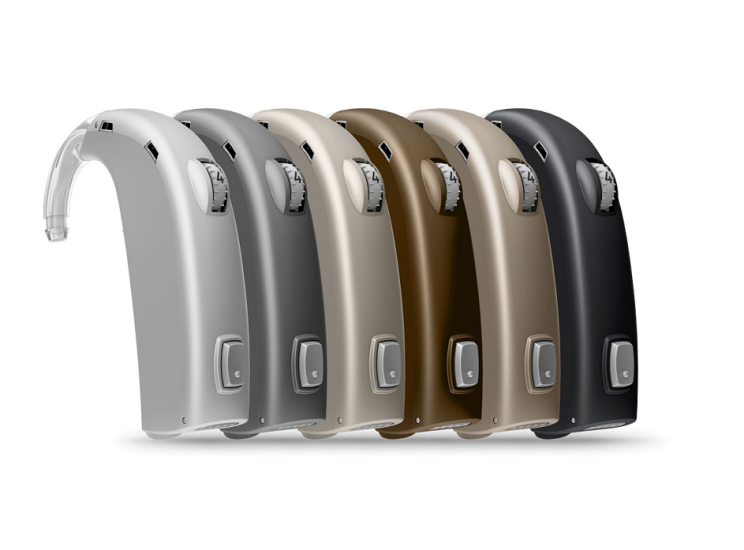 As well as being hypoallergenic, Dynamo hearing aids are also nano-coated and IP58-rated to protect and dust and water ingress. That means you can carry on doing all the activities you love, while continuing to enjoy an incredible world of sound. To find out more about Oticon Dynamo or any of our other digital hearing aids, call us on 0800 40 20 20, book an appointment online or speak to your nearest branch.